The US has succeeded at last with its audacious con-job. The lead NATO member has managed to orchestrate a huge turnaround for increased military spending among its European allies. And at the heart of this scam is the hysterical anti-Russia propaganda campaign. Over the past two years there has been a quickening drumbeat out of Washington and certain European capitals, warning of “Russian aggression” and “security threat”. Bombastic accusations of Russia’s “annexation” of Crimea and “destabilizing” Ukraine – with the skimpiest of evidence – have all been thrown into a propaganda cauldron, stirred up and ladled out on the Western public by corporate and government-controlled “news” media. It’s so corny, it’s unbelievable. But shamefully the Big Lie has worked its way into accepted policy. The upshot is the dramatic deterioration in relations between Moscow and the West and the inculcated notion that Russia is a menace to the security of Eastern Europe and the Baltic states. That, in turn, has driven calls – mainly by the Americans – for increased spending on NATO military forces. And that is the key to understanding this whole collective derangement. When the US-led military alliance holds its big summit in Warsaw next month, the 28-member states will be told that years of declining military expenditure have been reversed. “Defence spending by Europe’s NATO states is set to rise for the first time in nearly a decade,” reported the Financial Times. That hike in military expenditure by European NATO members is reckoned to amount to an extra $100 billion annually. 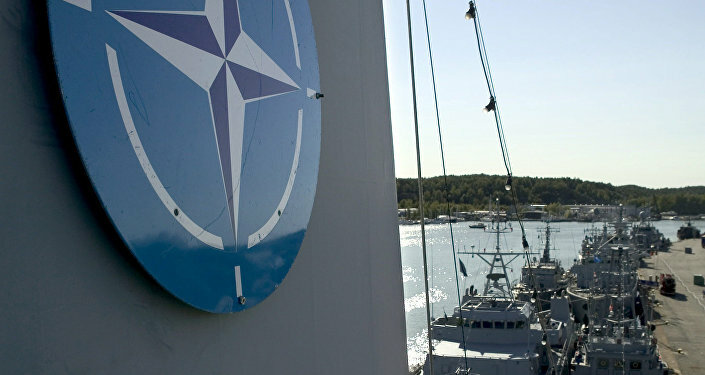 Some of the biggest NATO spenders in Europe are Britain, France and more recently Poland and the Baltic states. But the biggest turnaround is Germany. The country is to increase its military budget for the first time in 25 years. “The years of decline are over,” said German defence minister Ursula von der Leyen, with boastful delight. Currently, the average military spend among Europe’s NATO members is around 1.4 per cent of Gross Domestic Product (GDP). At Washington’s urging, the alliance is targeting for a 2 per cent spend of GDP. That will result in manifold the $100 billion extra that has already manifested. And which country do you think will reap the financial rewards of this extravagance? Why the United States, of course. When NATO members splurge on warplanes, warships, tanks and missile systems, it will be American Pentagon corporations like Lockheed Martin and Raytheon that stand most to gain from the business bonanza. Poland, for example, wants the US-made Aegis missile system on its territory just like Romania recently installed at a cost of $800 million. Estonia wants US-made Patriot missiles on its territory, as well as Abrams tanks and more F-16 fighter jets. Washington does not give out these weapons systems for free. It’s hard-nosed capitalist profit-making behind all the lofty American talk about “defending allies”. And no doubt European government ministers who facilitate the American deals will, nod and wink, get a plum job on retirement with a weapons company or at some lucrative pro-NATO think tank. This reversal in European military spending is great news for the US military-industrial complex and the American economy generally. As the Financial Times points out, since the end of the Cold War between the US and former Soviet Union, there has been a protracted decline in NATO budgets allocated by European states. Understandably too. If the threat of war wanes, then naturally governments will find more socially productive ways to invest money. However, from the US economy’s point of view – dependent as it is on massive military subsidies from an annual defence budget of $600 billion – the post-Cold War promise of peace was bad news. The fall-off in military spending by European NATO members dropped sharply following 2008, as countries grappled with the global financial crisis and economic austerity. It is no coincidence that since then Washington has been cajoling European states to make a U-turn in policy and to boost their expenditure on military hardware, which means mainly American military hardware. At the last NATO summit held two years ago in Wales at the end of 2014, US President Obama ratcheted up the rhetoric haranguing European allies to commit bigger financial outlays for the military alliance. Towards that goal, Obama found reinforcing voices among British leader David Cameron, new NATO secretary-general and former Norwegian premier Jens Stoltenberg, as well as Poland and the Baltic states. Together this US-led cabal within NATO have been the most vociferous in accusing Russia of aggression on Europe’s borders. And in a two-year period the malaise of budgetary decline has been turned around to one of robust increased spending. It is no surprise therefore that the anti-Russian scare tactic has been accompanied by an ever-increasing number and size of US-led war exercises held in Eastern European NATO countries. 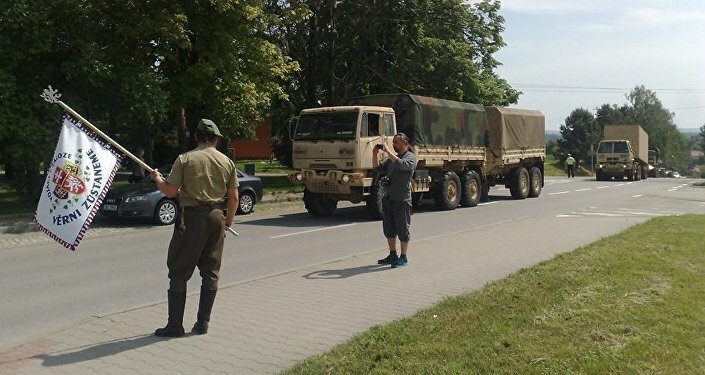 This month sees Operation Anaconda being held in Poland, which is reportedly one of the biggest NATO drills since the end of the Cold War, involving over 30,000 troops and hundreds of warplanes and warships. Russia has condemned reckless NATO saber-rattling and relentless military build-up on its borders. Moscow has repeatedly said that it is not a threat to its European neighbors. Last year, President Vladimir Putin told Italian media that “only a mad person could imagine Russia attacking NATO”. Despite the military posturing by the US and its NATO allies, it seems plausible that the alliance is not genuinely seeking an all-out confrontation. 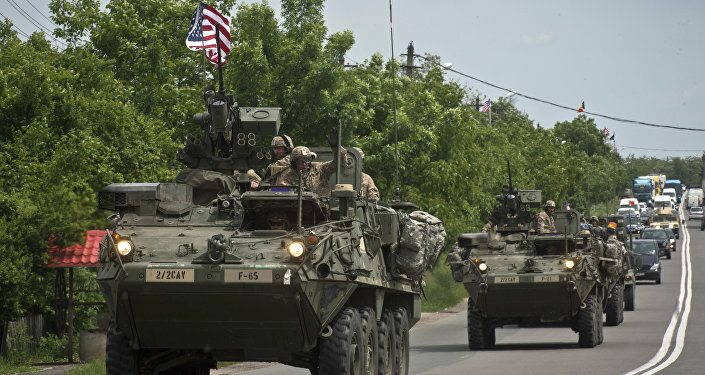 A recent study by the US-based Rand Corporation concluded that NATO forces wouldn’t stand a chance against Russia if they came to blows in Eastern Europe. Seemingly aware of tensions getting out of control, the US publication Defense One, which is aligned with the Pentagon, made the notable call recently urging NATO to “rediscover diplomacy” in its relations with Russia. The timing is significant. For years, Washington has assiduously tried to reverse European military cuts. That has advantaged the US firstly from hawking business for its critically important military-industrial complex; secondly, by dragooning NATO members to cohere under an anti-Russian banner that gives Washington a badly needed renewed purpose to be in Europe. That had always been the underlying rationale of NATO, and with the receding of the Cold War the US was out on a limb. No more though. The anti-Russian propaganda alarming Europe of invasion and war appears to have worked suitably, as the FT report of boosted military spending across Europe indicates. However, the dilemma is that the hostile US rhetoric could get out of control, inciting a hot war. Hence, the betting is that more calls for diplomacy will now ensue from Washington in order to tamp down tensions with Russia. Having terrorized Europe into fearing Russian attack, Washington has managed to secure the funding of its military-industrial complex that its economy craves. That was the real and only objective. War might be averted, but the scam is nonetheless reprehensible, and the people of the US and Europe should not stand for it.